It's our last Inspiration post at STAMPlorations before a summer break, so here's a card to keep you dreaming of bright days, warm nights, and big (or small) ambitions. 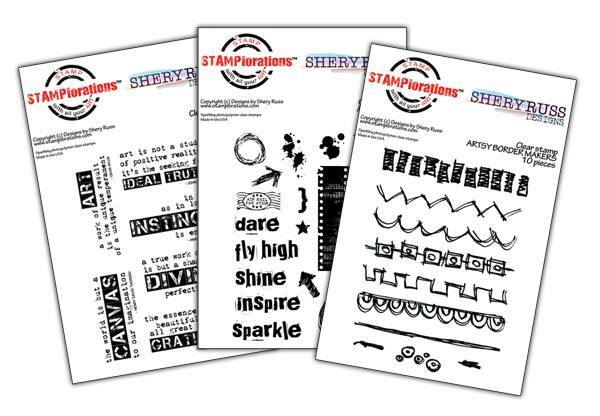 This wee we're featuring Shery's stamps, all of which will be 10% off (no coupon needed) and if you use my code STAMPGIRLSHIRLEY you'll get an extra 20% off any stamps, stencils and dies in the store. This is another of my 'sloshing with a broad-tipped waterbrush' creations. 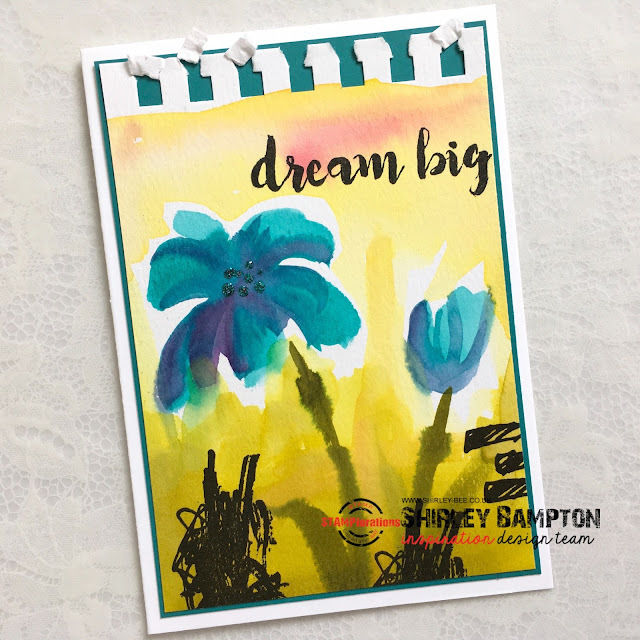 I've used stamps from Shery's Scribbly Splattery Grunge set, and the sentiment is from Hope Blooms. Pop on over to the STAMPlorations blog for some more fabulous inspiration from the team, and don't forget to leave a comment for a chance to win a gift certificate to the store. Don't forget our never-ending Anything Goes challenge is still open over the summer so you can show off your STAMPlorations creations there. 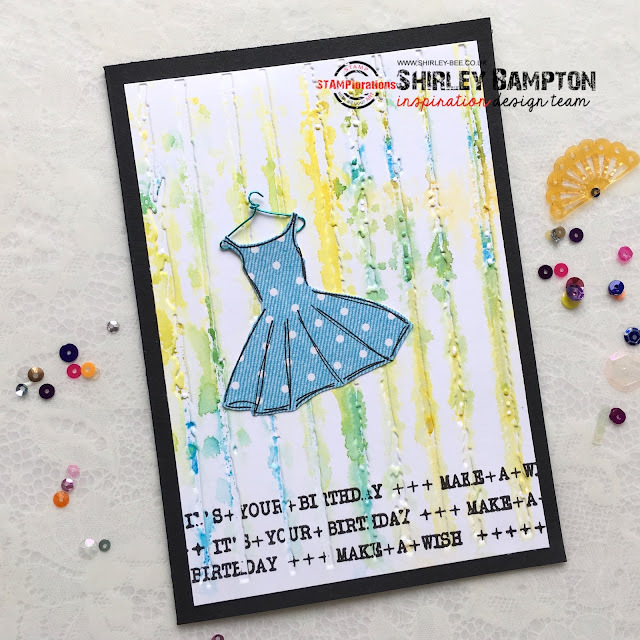 We've got a fab challenge for you at Seize The Birthday - Splatters! Right down my street, although I confess I haven't done as much splattering as I would like lately. 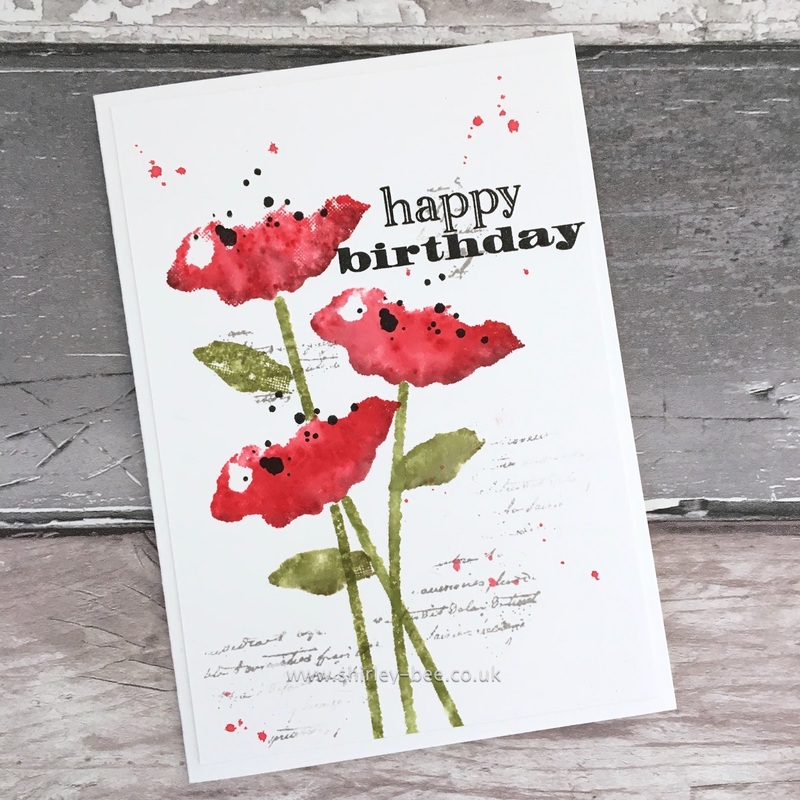 I've used a leaf/petal stamp from Altenew for the poppies, and the black stamens are actually a stamp, which would make a great splatter stamp. The leaves are the smaller leaf stamp in the Altenew set. the stems are an old Hero Arts line stamp, the sentiment is Hero Arts, and the text is from STAMPlorations. 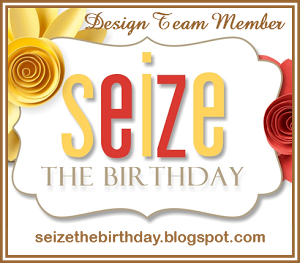 Pop on over to the Seize The Birthday blog for some fabulous inspiration from the team, and play along! 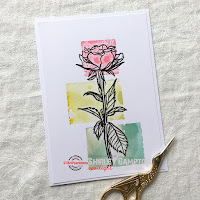 It's Inspiration Tuesday at STAMPlorations, and this week we're featuring Deepti's stamps. 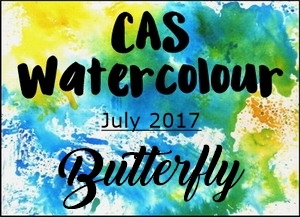 I've done some no-line watercolouring with the gorgeous image from Best Mom Ever. I stamped in Antique Linen on mixed media paper, then got to work with Distress Inks and Distress Markers. 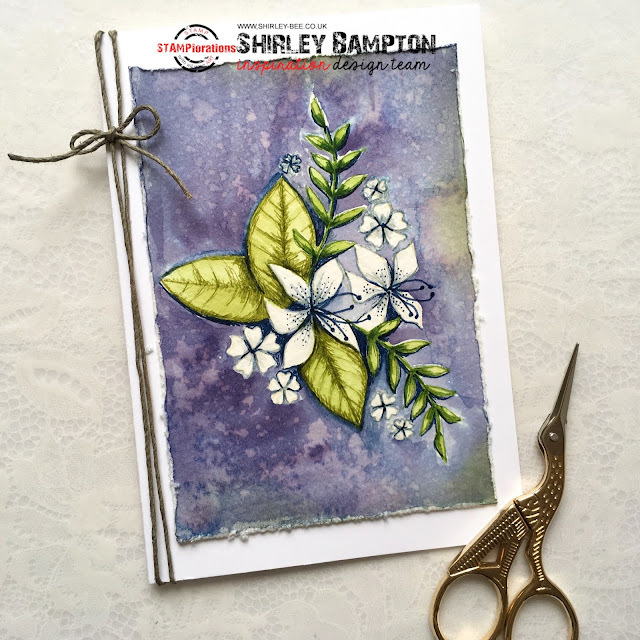 Pop on over to the STAMPlorations blog for some more fabulous inspiration from the Design Team, and don't forget to leave a comment for your chance to win a gift certificate to the store. This week, Deepti's stamp sets are 10% off - pop on over to the blog to see which set is 20% off. 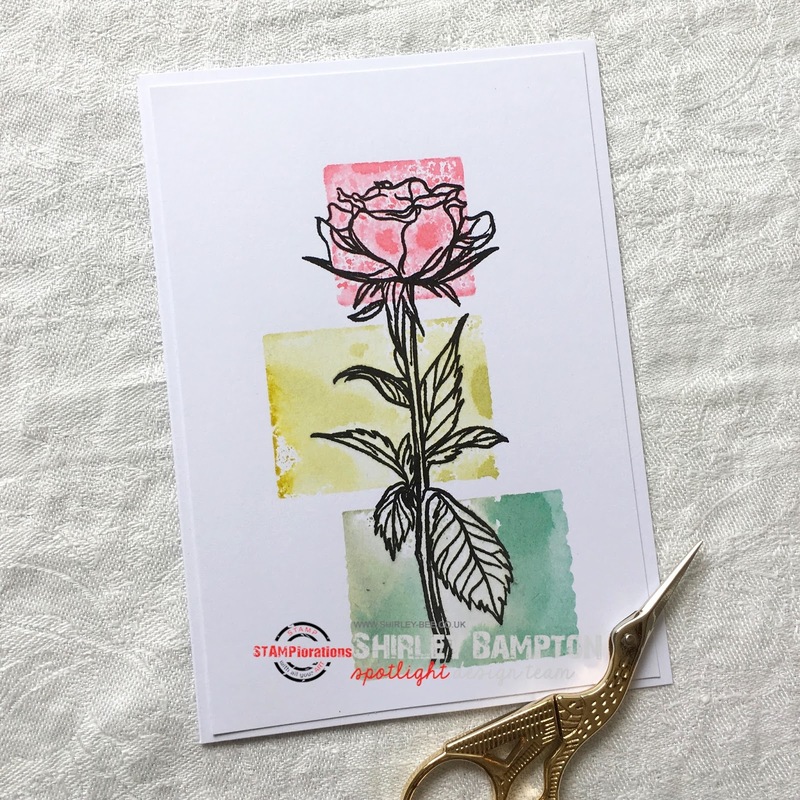 And any time you're shopping, use my code STAMPGIRLSHIRLEY for 20% off all stamps, stencils and dies. 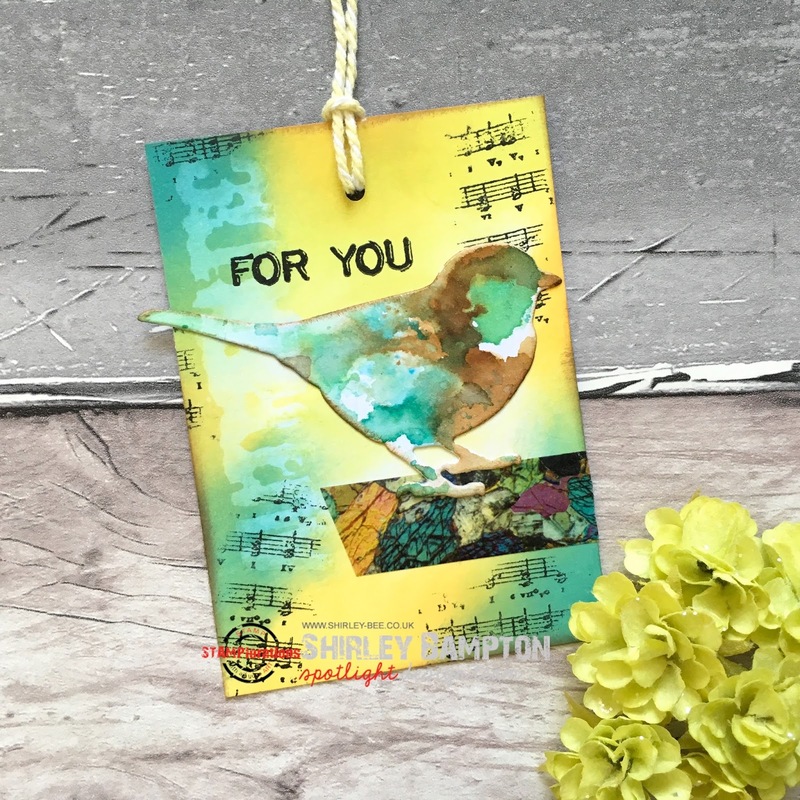 Are you playing along at Craft Stamper Take It, Make It? 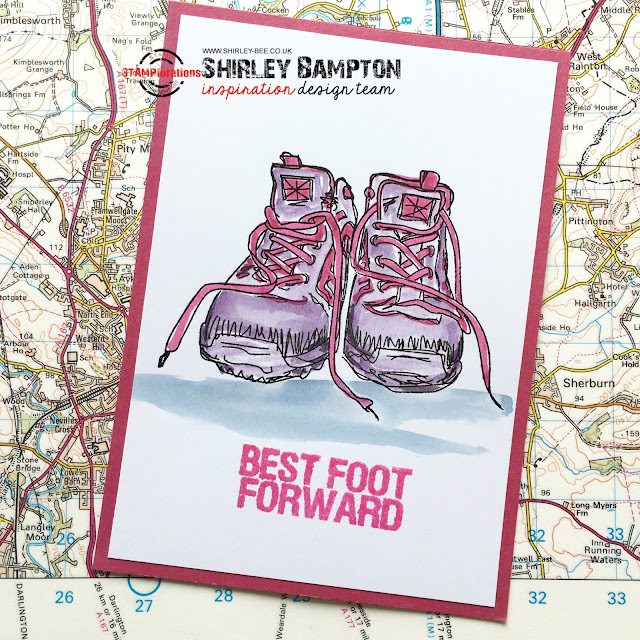 This month we're sponsored by STAMPlorations, so of course I've used STAMPlorations stamps ;) Specifically, The Bee's Knees Walking Boots, great for the walkers in your life (the boots look fabulous in girly pink and purple!). 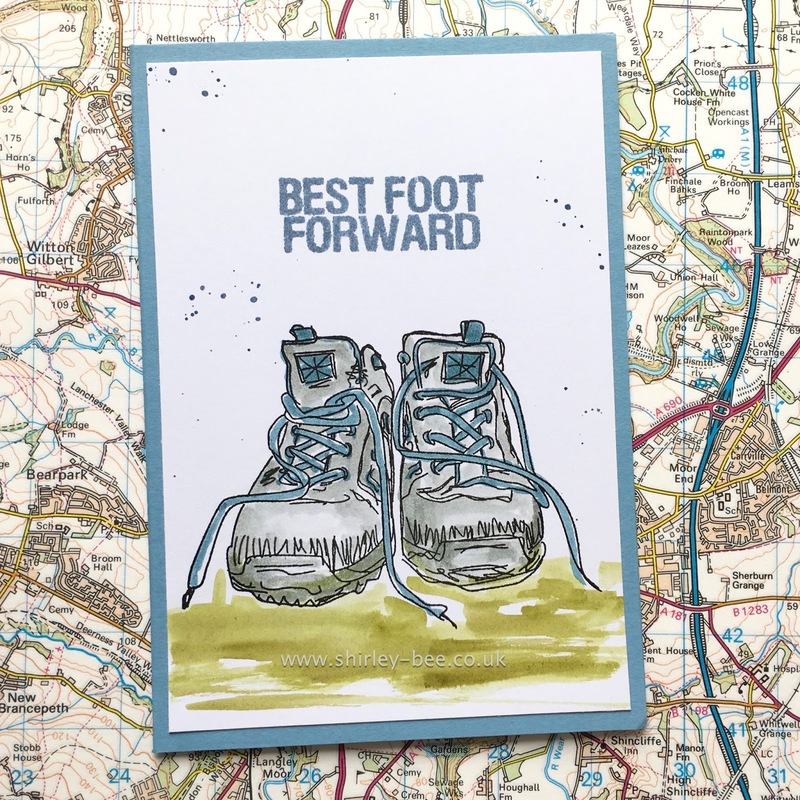 The winner chosen by the Craft Stamper design team will have their winning entry published in the best craft magazine going (so hold on to your entry, cos you'll have to mail it if you're picked), get a profile in the mag and blog, and a guest design spot in a future challenge. Just remember to follow the rules to be eligible. 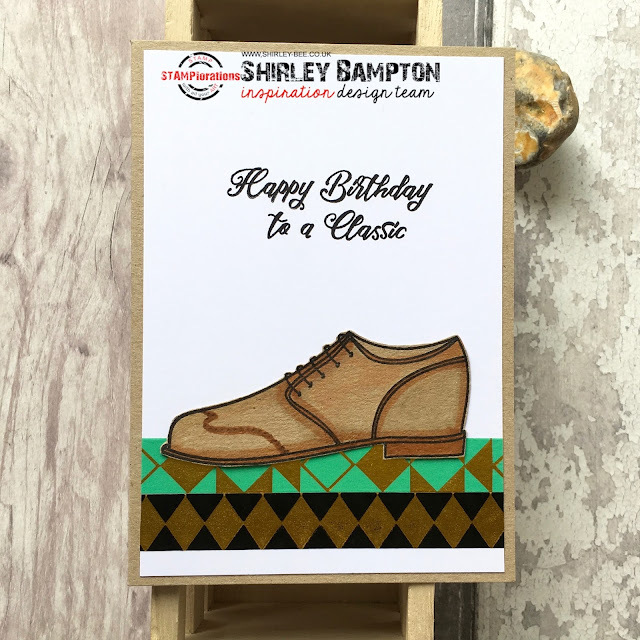 Pop on over to the Craft Stamper blog for some more fabulous inspiration from the team, and play along with us for your chance to win. 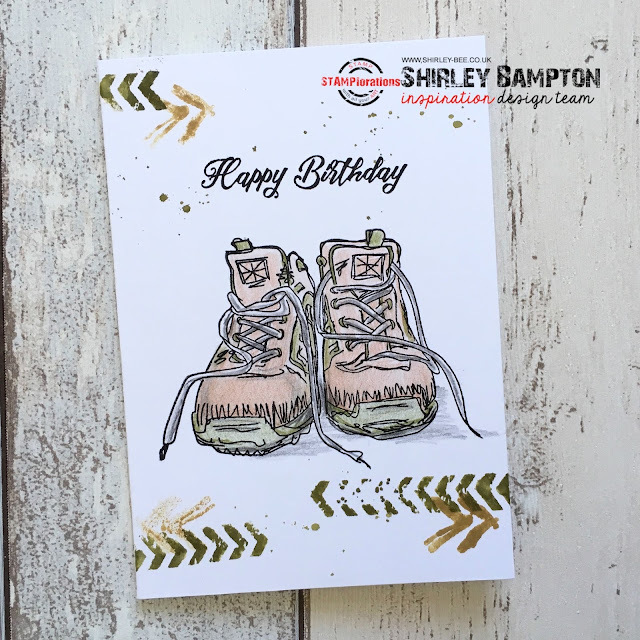 I've got two new stamp sets out on the STAMPlorations blog, both of them masculine and both of them footwear. 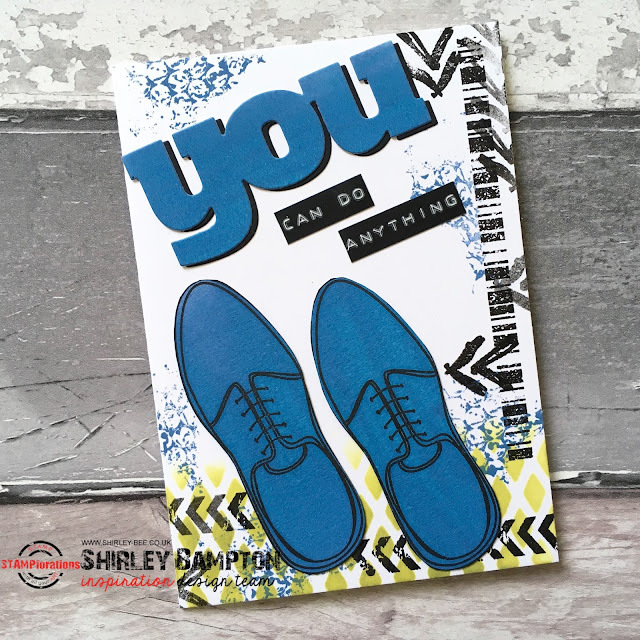 Masculine cards are always the hardest to make (well, the coming up with ideas is the hardest), but hopefully these two sets will help you to expand your masculine card repertoire. 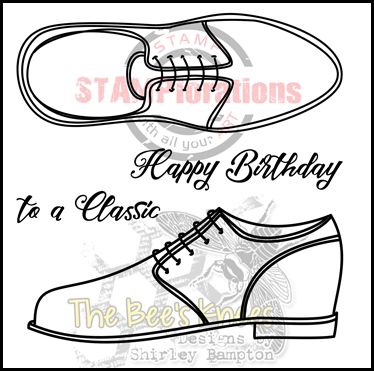 First up, there's Classic Shoes, great for those classy guys in your life, whether they're hipster or just hip. I'd been playing with Distress Oxides, and the Faded Denim reminded me of blue suede. Couldn't resist it... Elvis, anyone? Then I thought I'd stamp onto kraft. That also looked quite textured, like suede. I added a bit of shading, and some pattern to make it look like a brogue. Added some Art Deco style washi tape to give it a Thirties look. Then I thought I'd make something a bit more city/hipster-style. 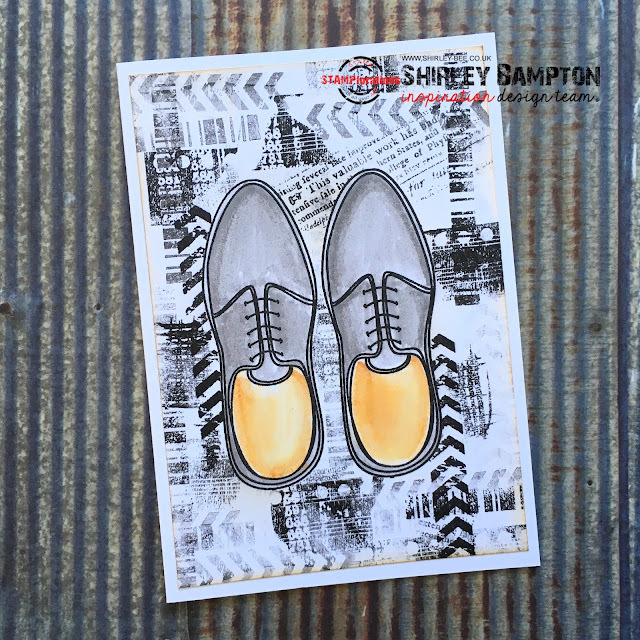 Stamped and coloured the shoes then masked them off while I stamped a background using Shery's Mixed Media Grunge set. My other new set is Walking Boots. If you think you've seen it before, you're probably right. This was one of the first designs I made on my little stampmaker machine before Shery invited me to design for STAMPlorations. You can see the original post here. It's lovely to have it as a 'proper' stamp, tidied up a bit. I thought I'd start with one for the girls, and pink is always a good place to start with girl cards. This was watercoloured with Distress Inks. For this next card I used coloured pencils. I started off very neat (well, for me) but then I just got scribbly. For this final card, I thought I'd bring a bit of the great outdoors to the background. 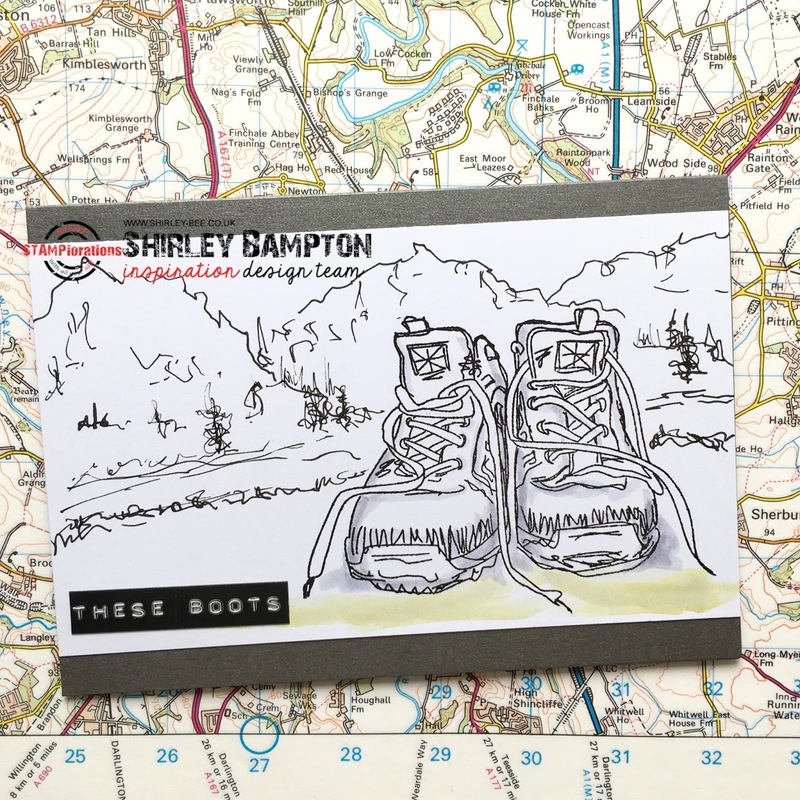 I scribbled a landscape using a 0.5 pen, and added just a hint of shade to the boots, and a hint of grass to the foreground. 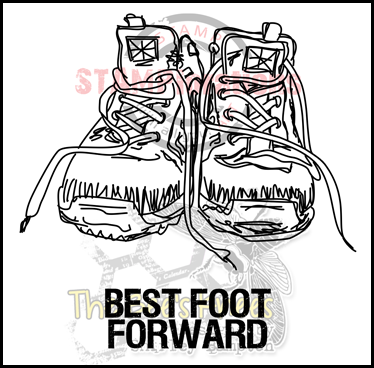 I used a Dymo to make the sentiment. Nancy Sinatra, anyone? Want to win one of these sets? 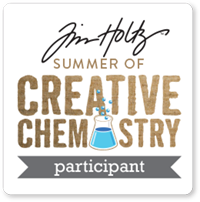 Leave me a comment here, and also leave a comment on the STAMPlorations blog post for two chances to win. And if you feel like shopping for any of my stamps, use my code STAMPGIRLSHIRLEY for 20% off. 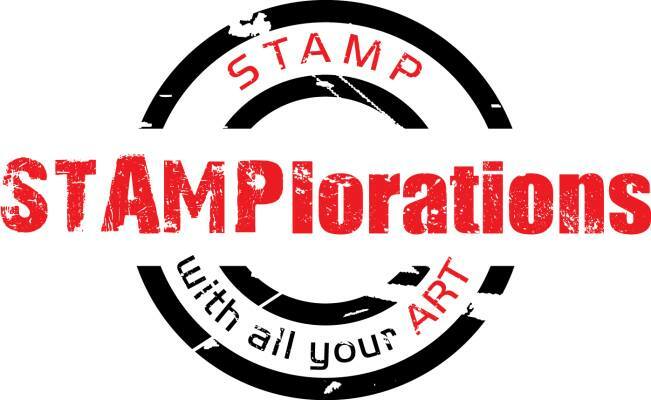 Inspiration time at STAMPlorations again, and this week we're featuring Becca's stamps. I've used some of the images from Sweet and Sassy Mom to create this panel, which was inspired by some artwork I found on Pinterest. 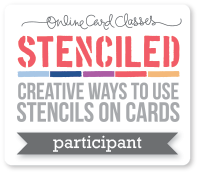 I started off by stamping the images in Antique Linen then painted in the background and stalks using Distress Oxides. I used Hickory Smoke to watercolour the shading on the petals (which are white space on the card), then got the Distress Markers out. When I first got my Distress Markers I was underwhelmed by them, but recently I've enjoyed scribbling with them using the fine tip. I start off neat, but I always end up sloshing or scribbling - or both! 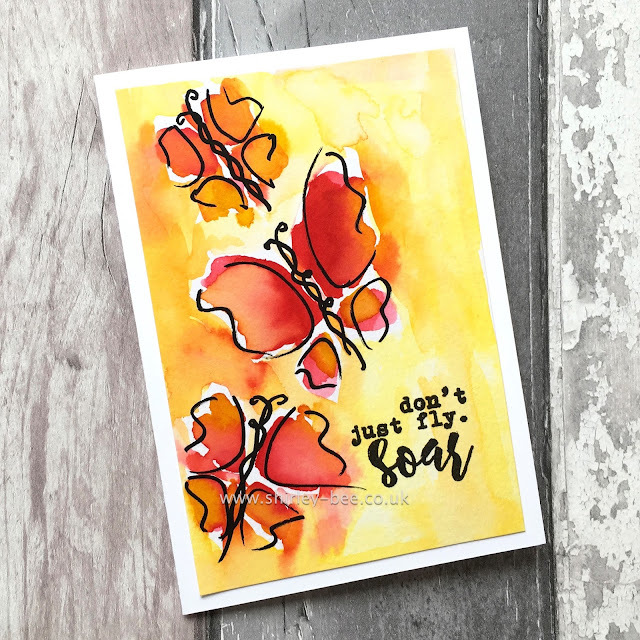 All of Becca's stamps are 10% off for the next week (no coupon needed), and this set, Sweet and Sassy Mom, is 20% off (no coupon needed). 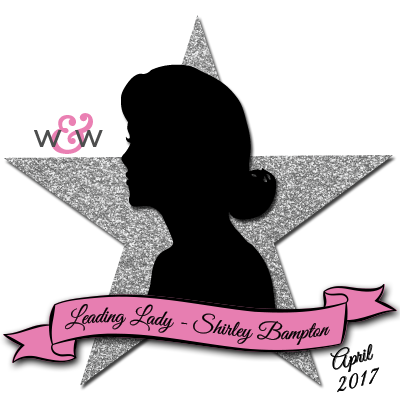 Use my code STAMPGIRLSHIRLEY and you'll get a further 20% off, so get shopping! 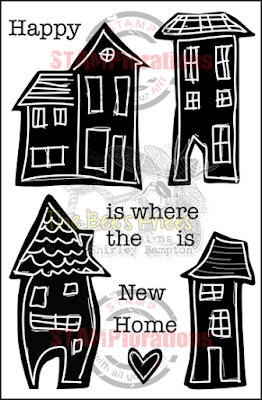 Hello, and welcome to a new challenge at Craft Stamper Take It, Make It! This month we're being sponsored by STAMPlorations, so I had to use my latest design in The Bee's Knees range, Classic Shoes. Great for those classy guys in your life, whether they're hipsters or just hip. And time flies quickest when you're having fun with friends! We've got a new challenge for you at Seize The Birthday - Red, White and You! 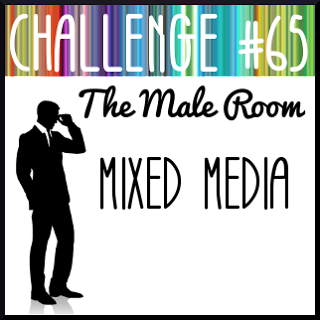 (the last colour is your choice). I've used a set from Stamps By Me - I love how the wine sloshes out of the glass! 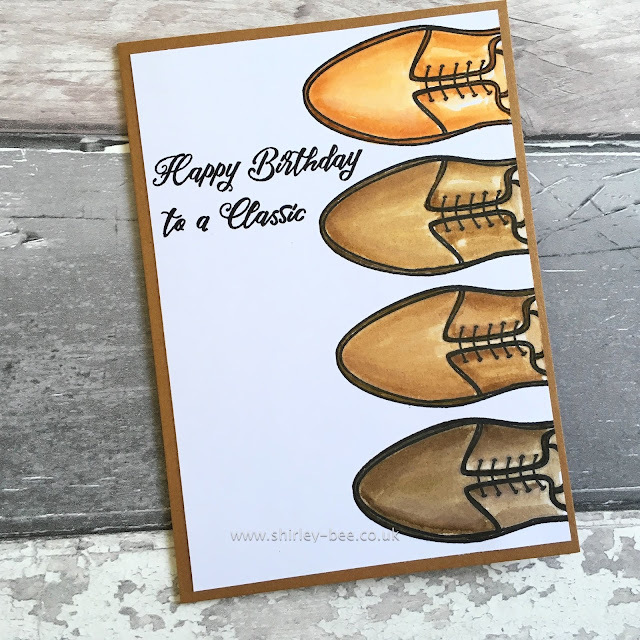 Our surprise party guest is Lindsey - pop on over to the Seize The Birthday blog for some fabulous inspiration from Lindsey and our design team, and play along with us. 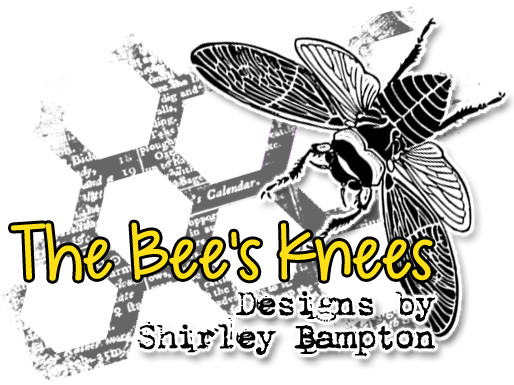 It's time for some more inspiration on the STAMPlorations blog, and this week we're featuring my stamps, The Bee's Knees. 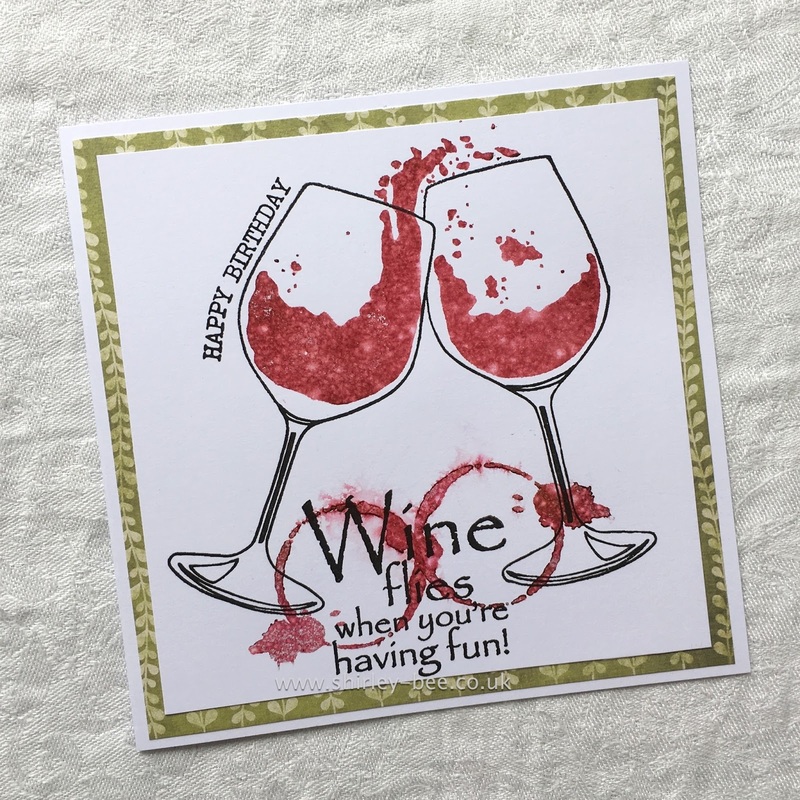 Our 4th birthday celebration is still on, so all stamps, dies and stencils in the store are 15% off. 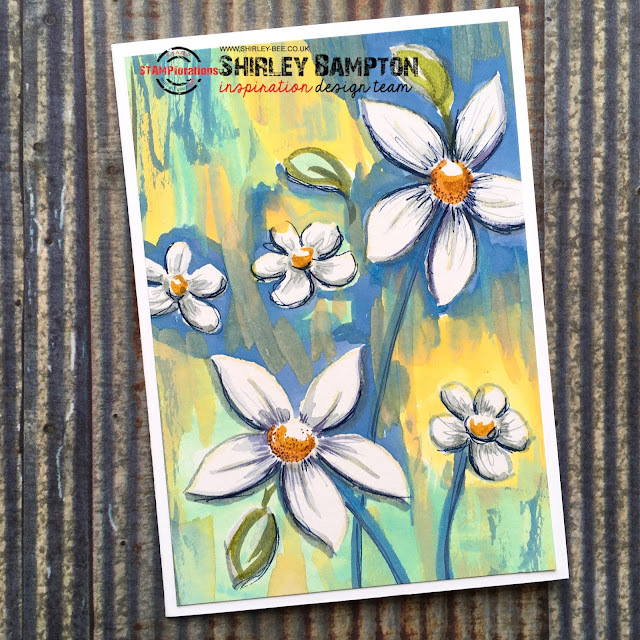 And if you use my code STAMPGIRLSHIRLEY you'll get a further 20% off. I've stamped an image from Party Dresses onto patterned paper, fussy cut it, made a coat hanger from wire, and adhered it to a dry-embossed panel that's been sitting in my stash forever. I stamped the sentiments from World Birthday Cakes over the embossed panel before adhering it to black card.